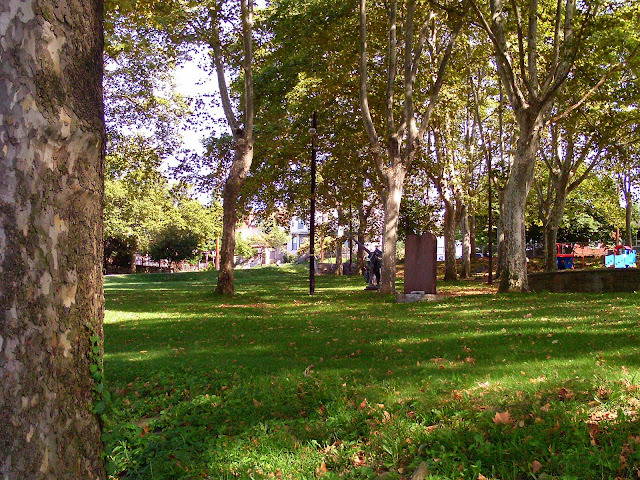 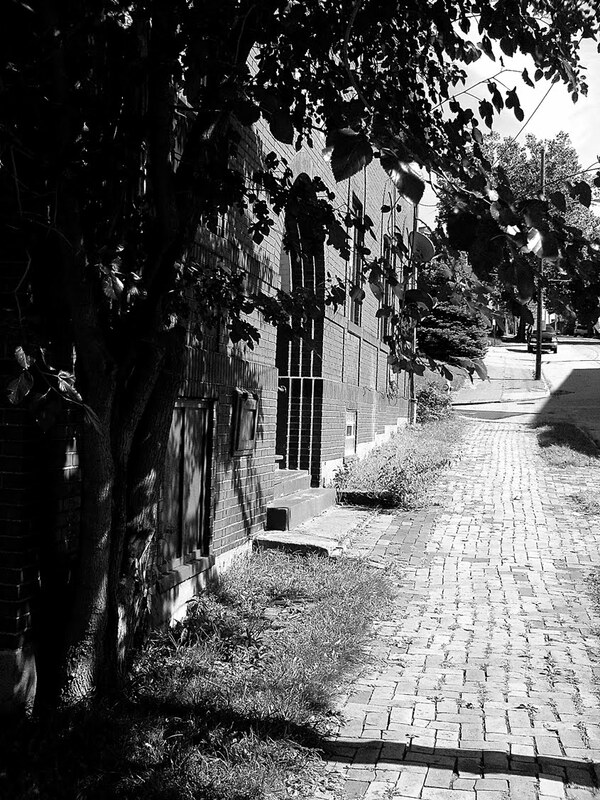 Here are some of my favorite photographs. I've collected those which capture the dark side of Pittsburgh, and its gothic atmosphere. I've presented them in black and white for your Halloween viewing pleasure. 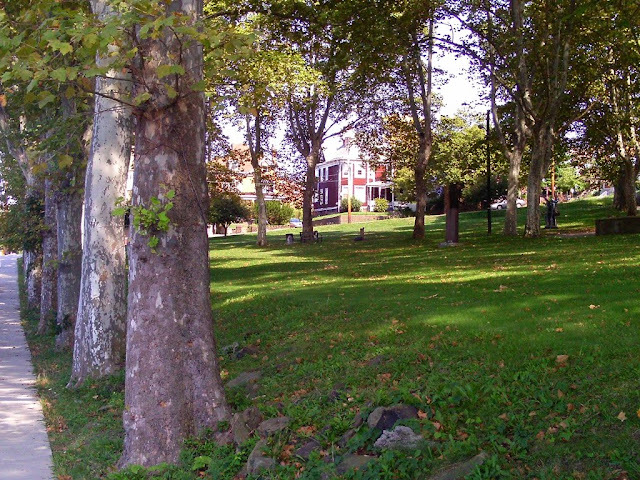 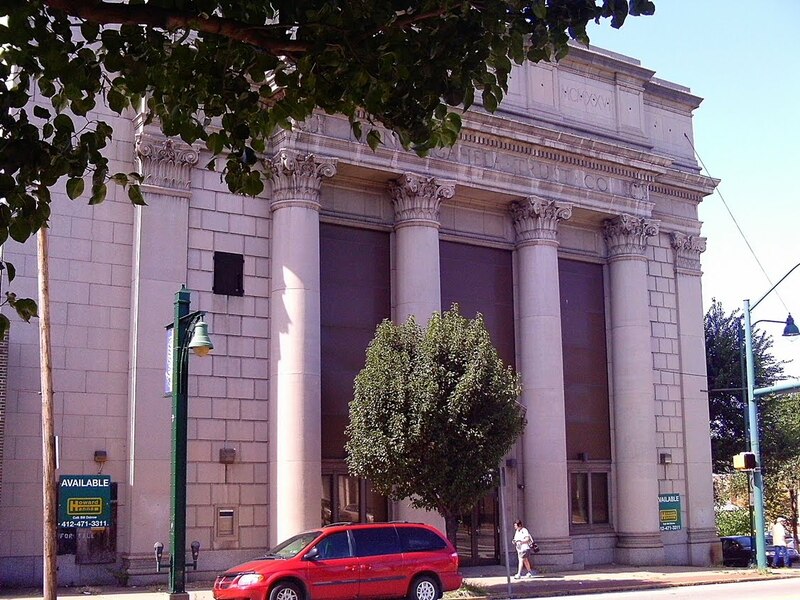 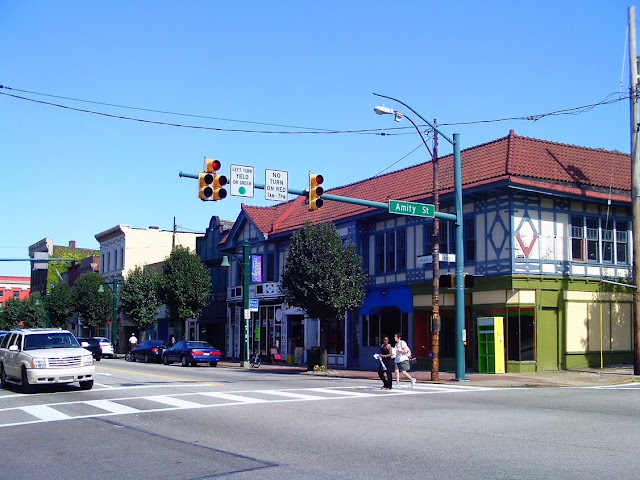 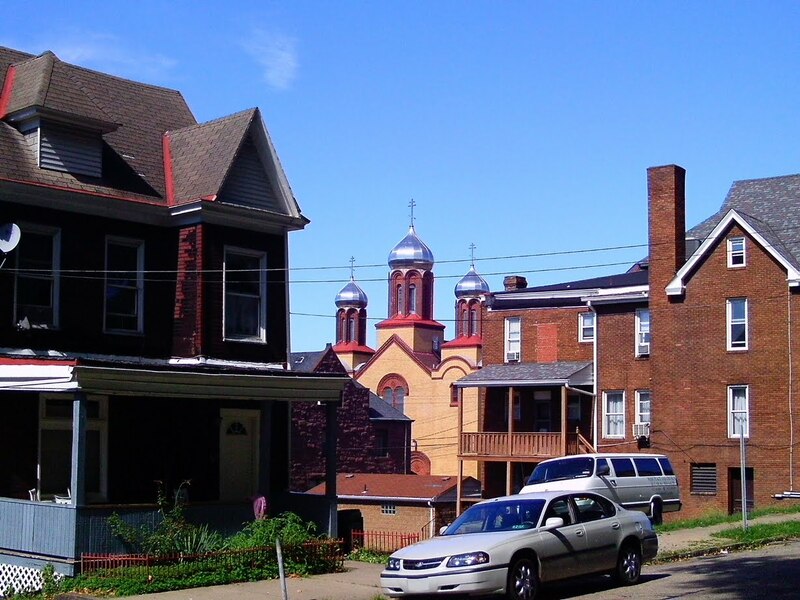 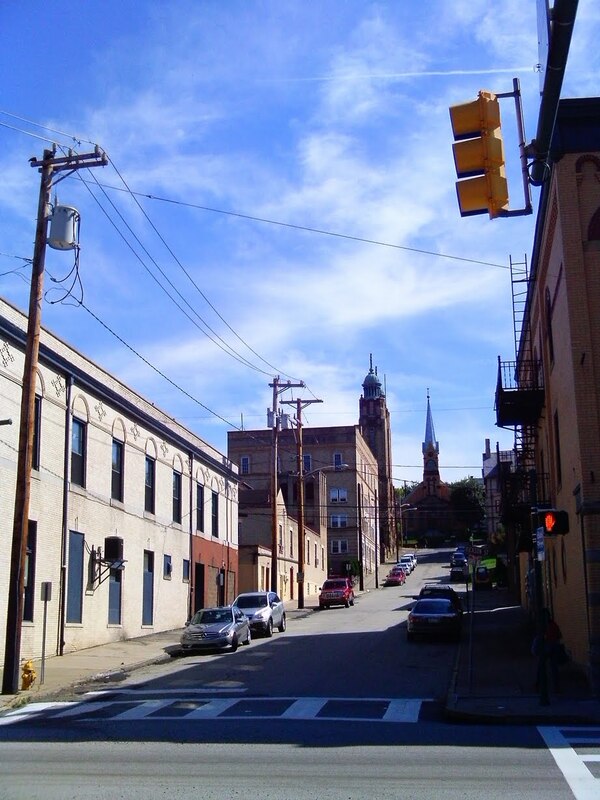 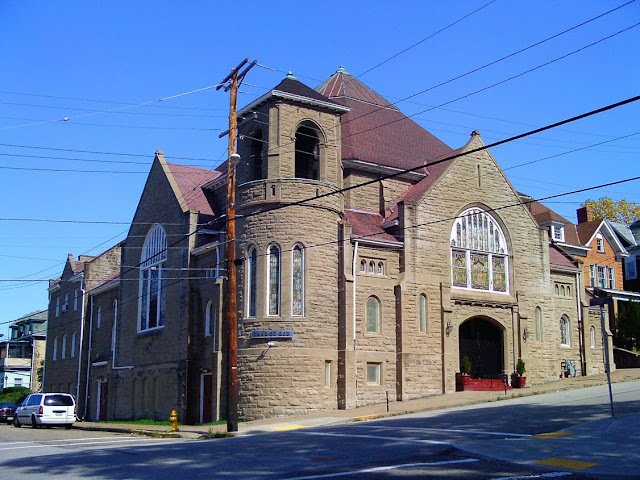 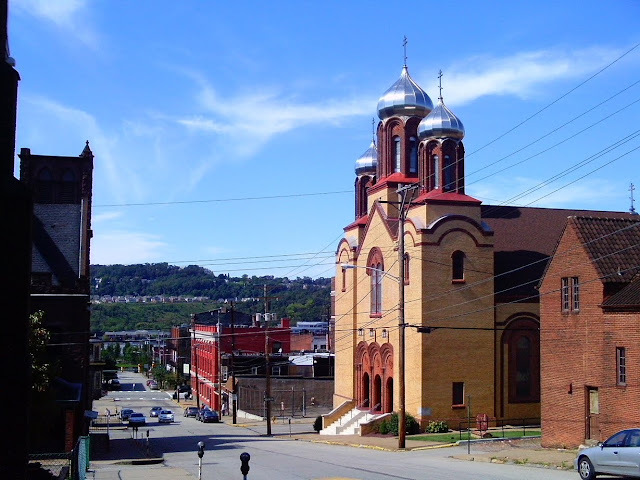 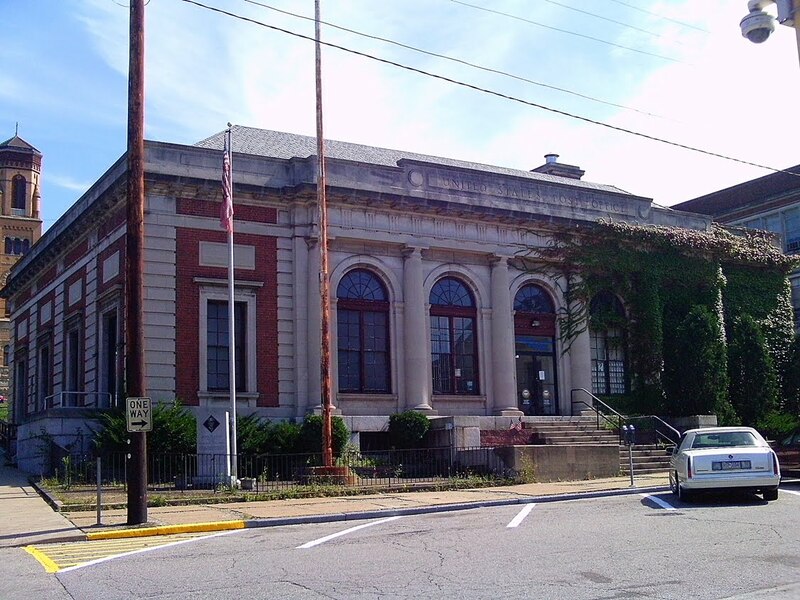 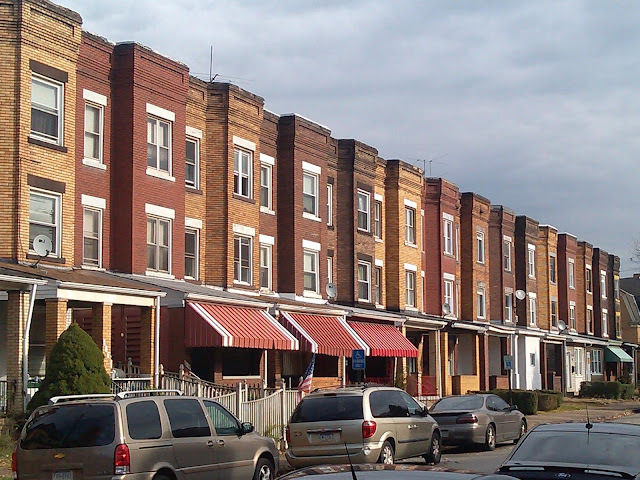 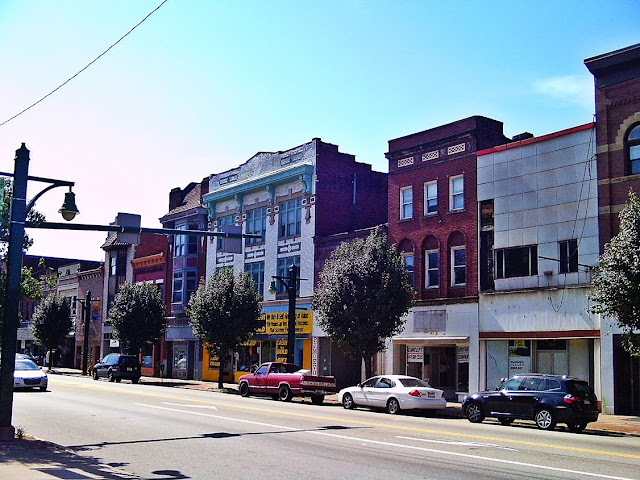 The communities represented in the tour include: The Bluff, East Liberty, Brownsville, Natrona, West End, Manchester, Braddock, Beltzhoover, Homestead, Spring Garden, McKees Rocks, and Chateau. 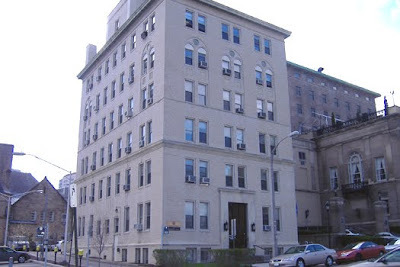 121 University Place, an early 20th century mid-rise, beaux arts style building was recently demolished. 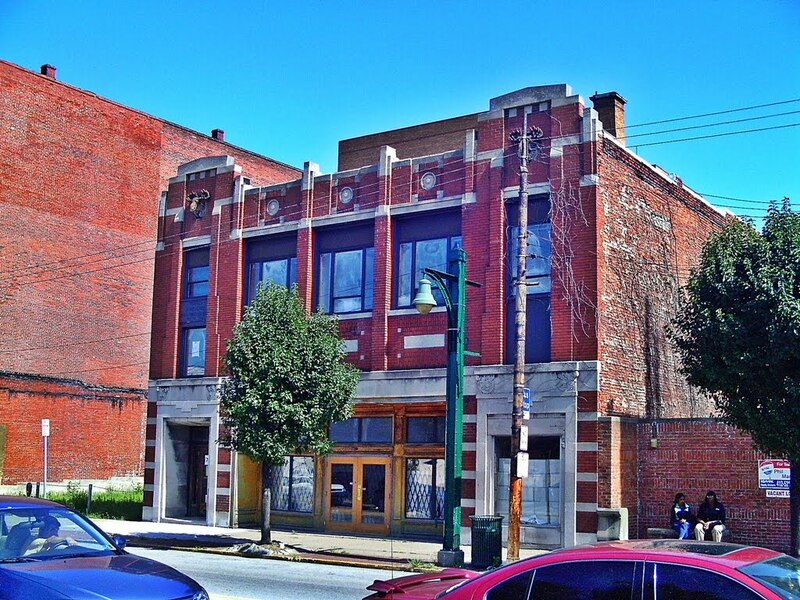 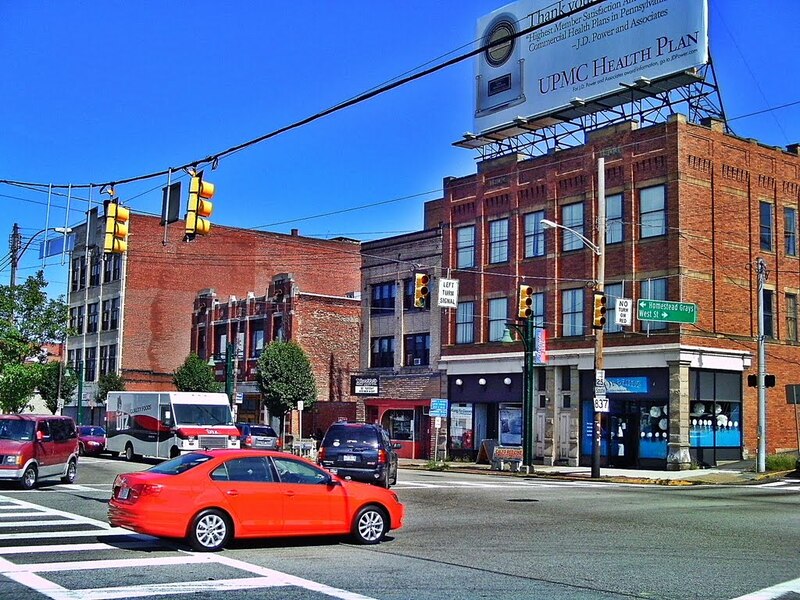 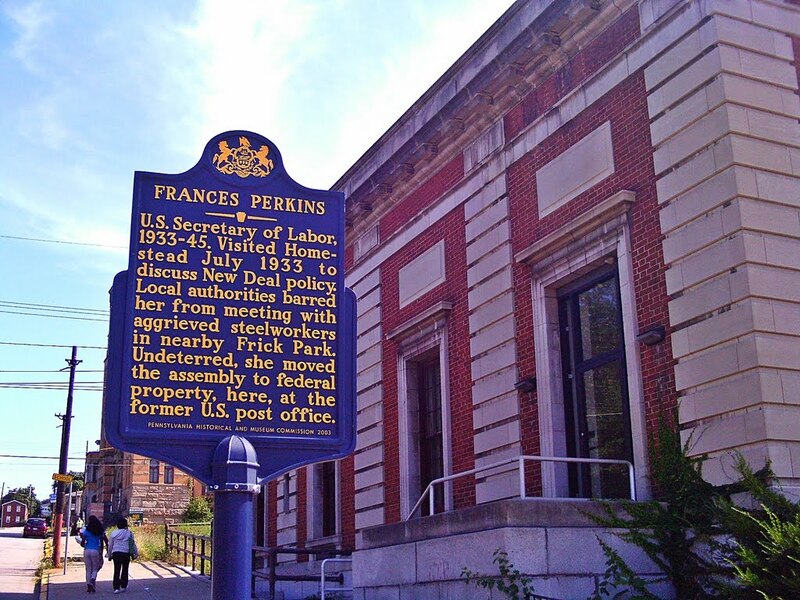 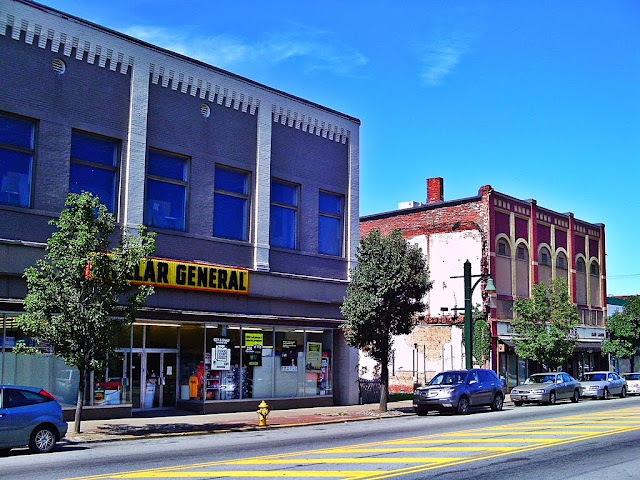 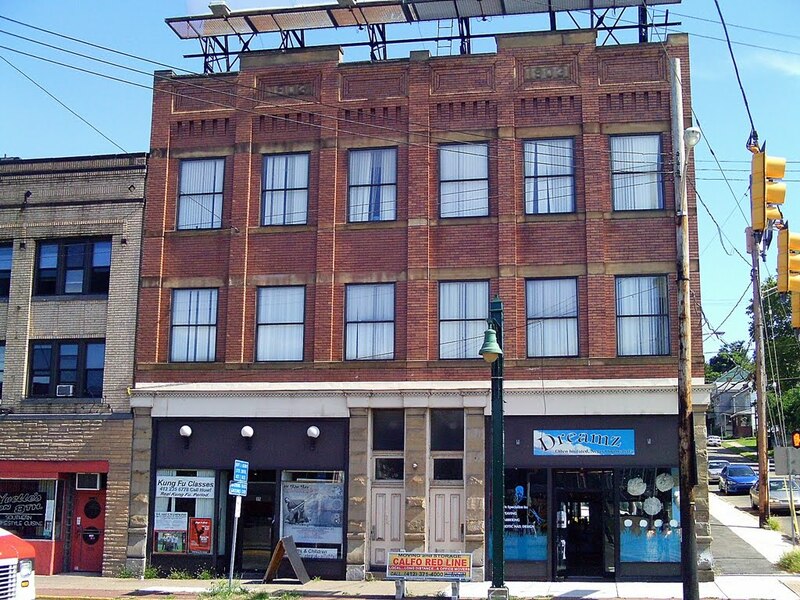 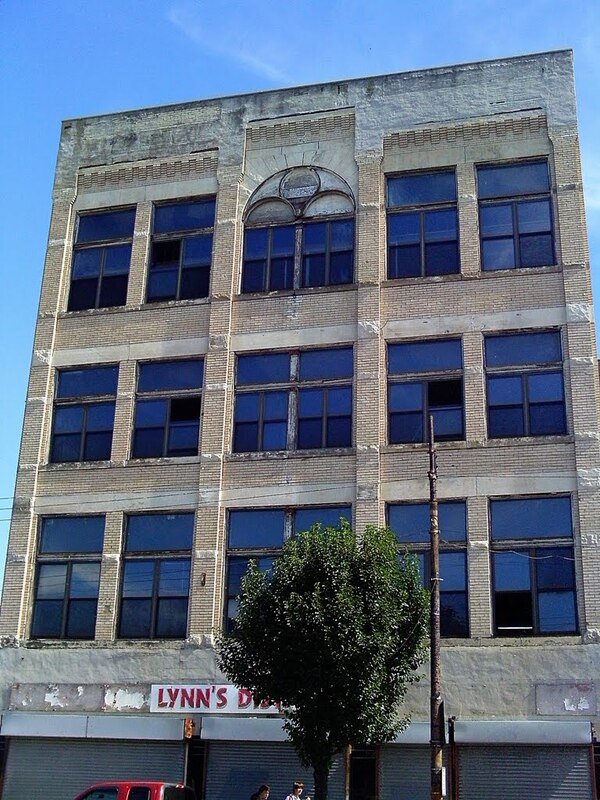 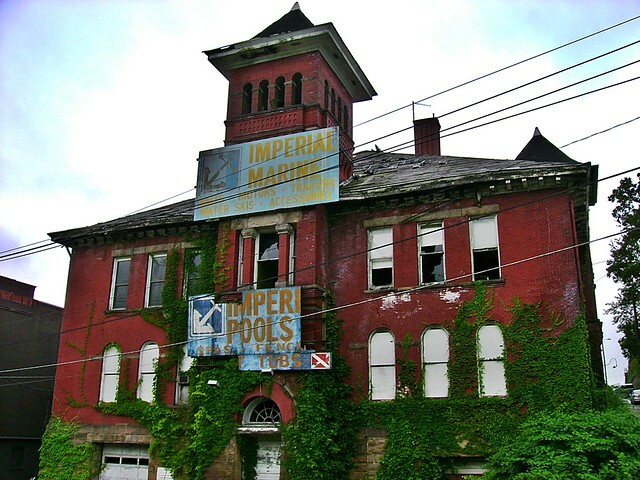 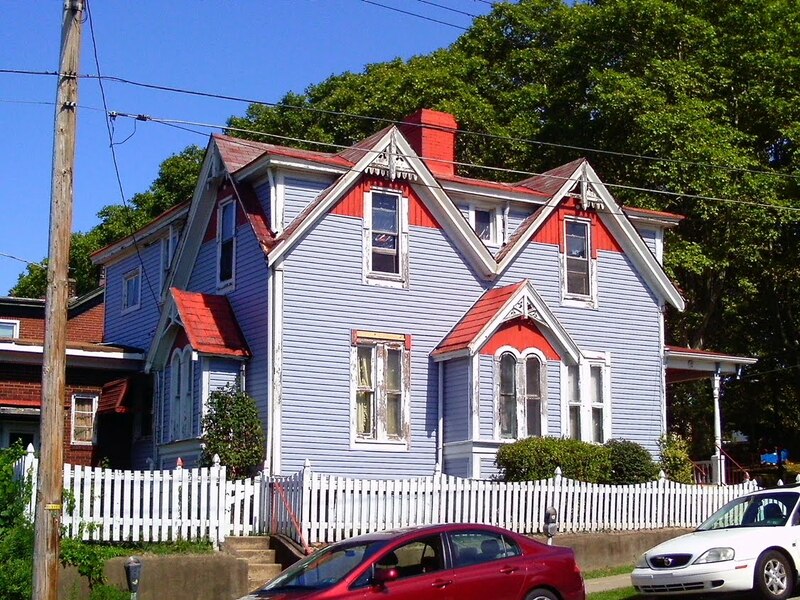 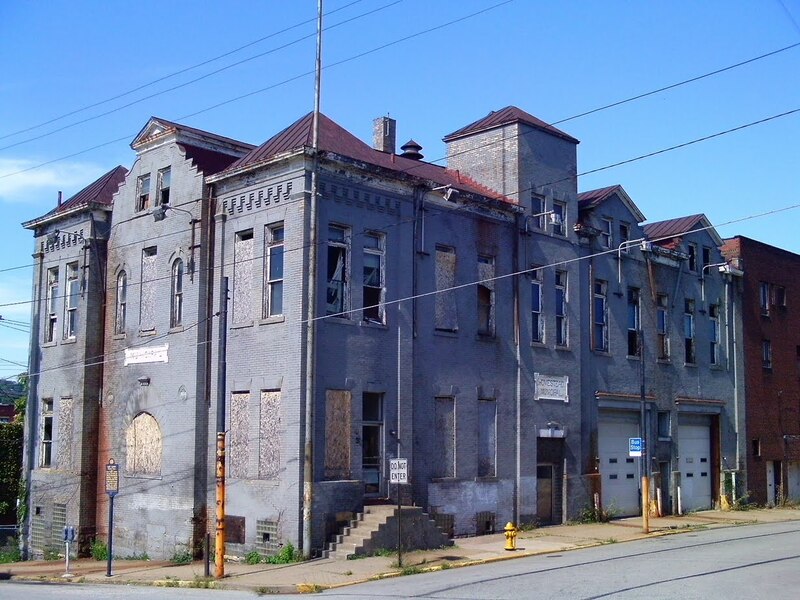 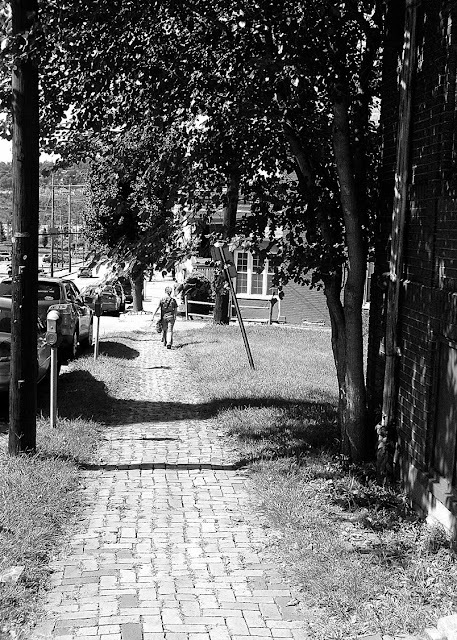 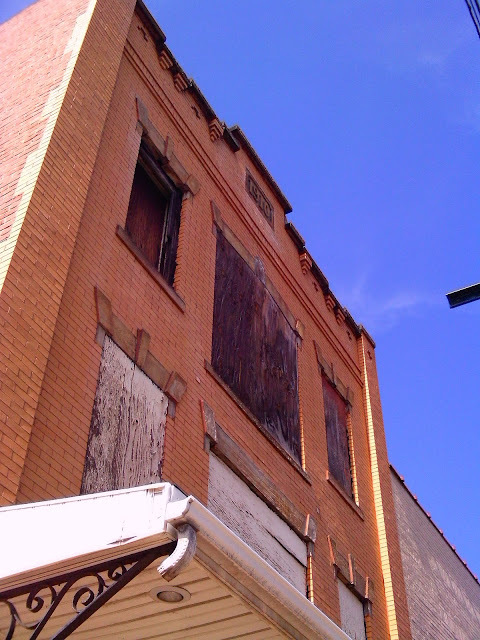 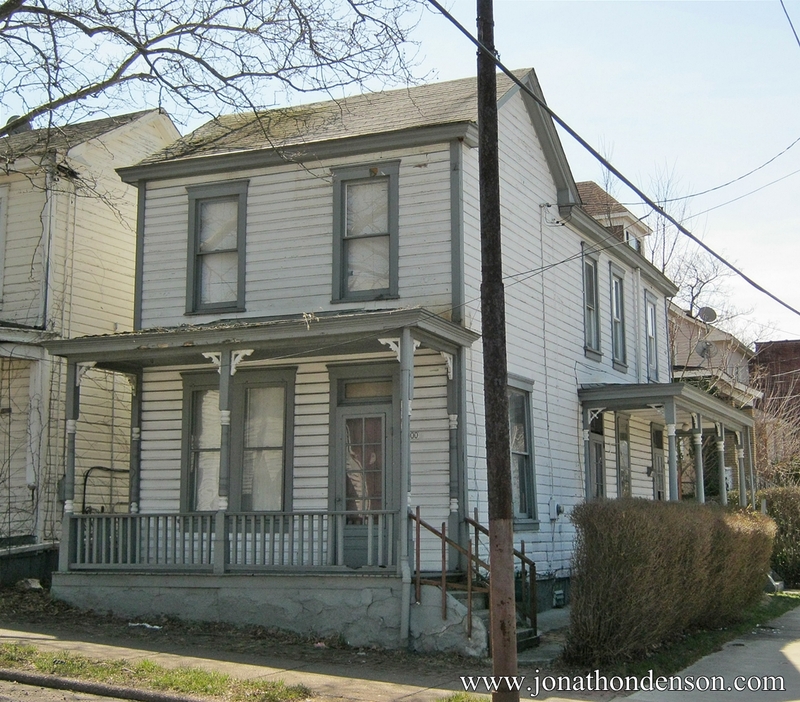 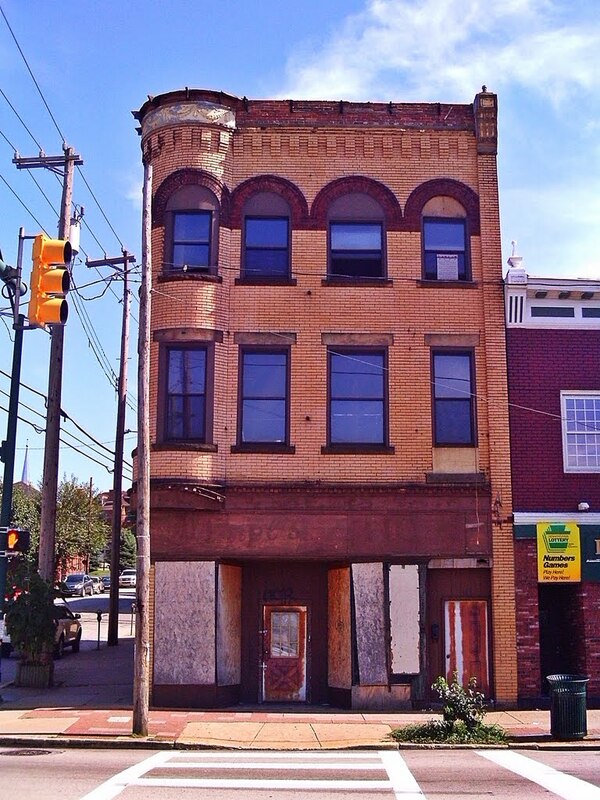 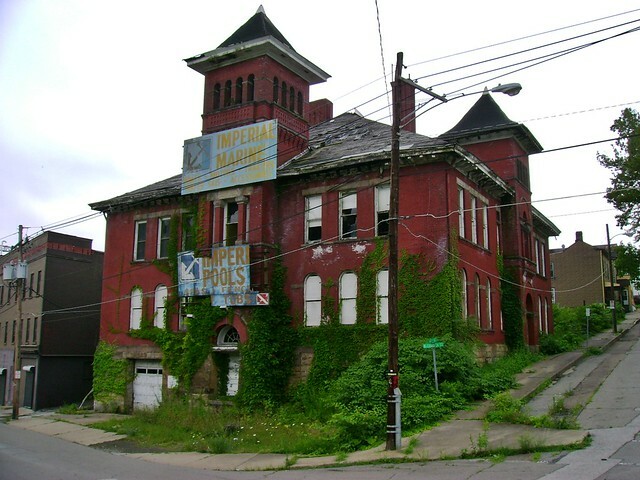 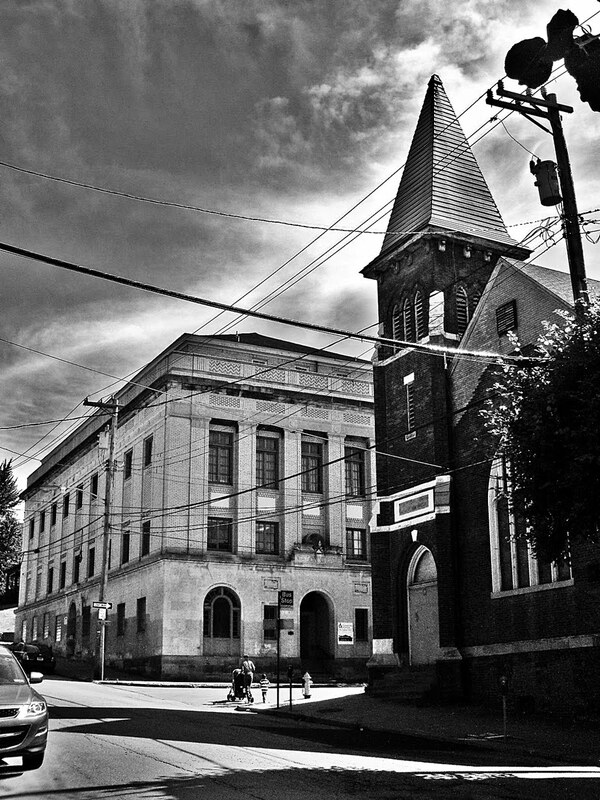 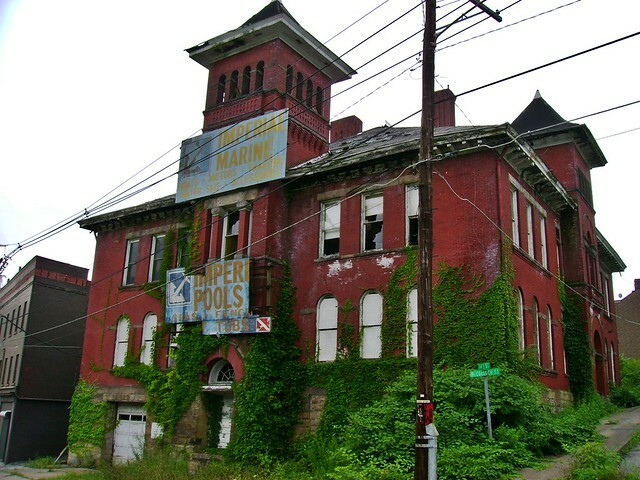 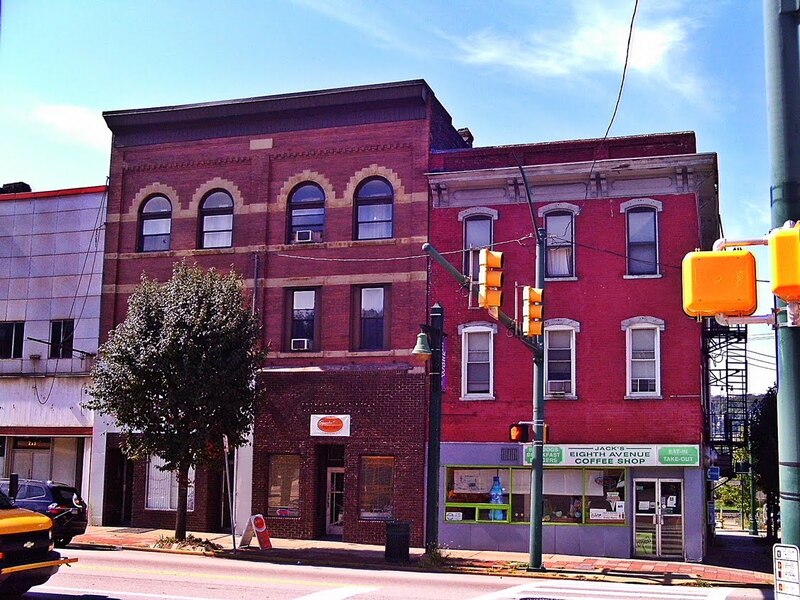 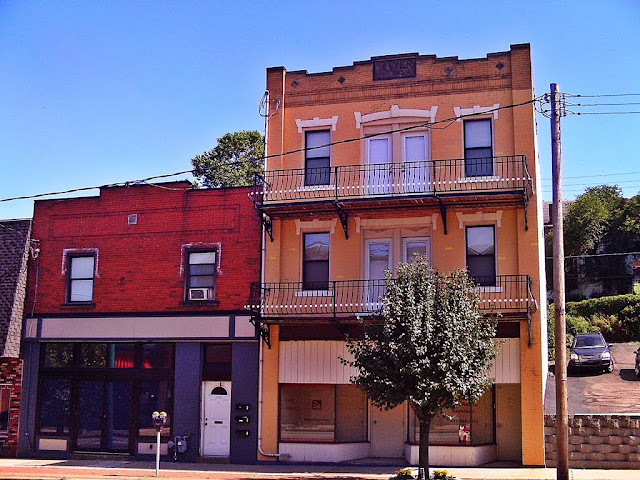 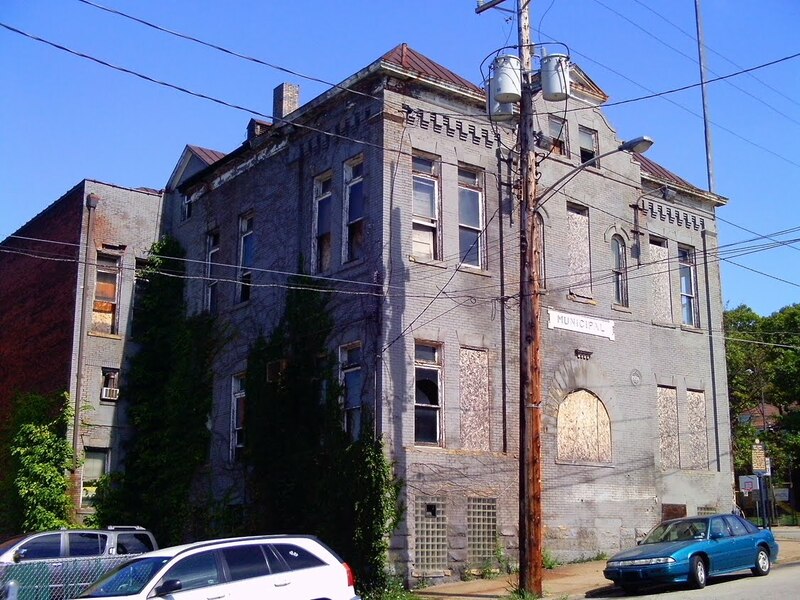 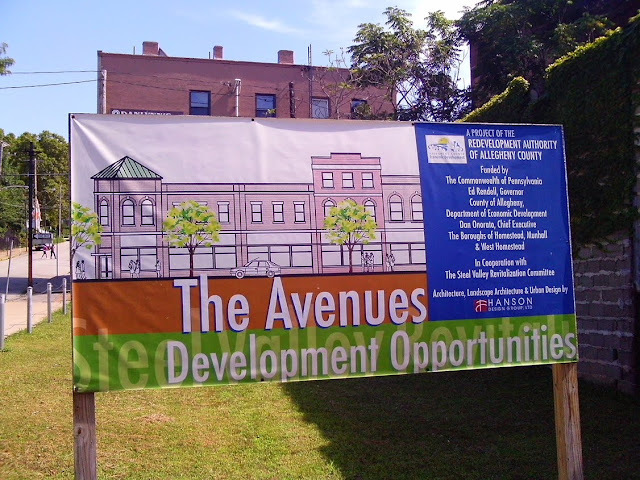 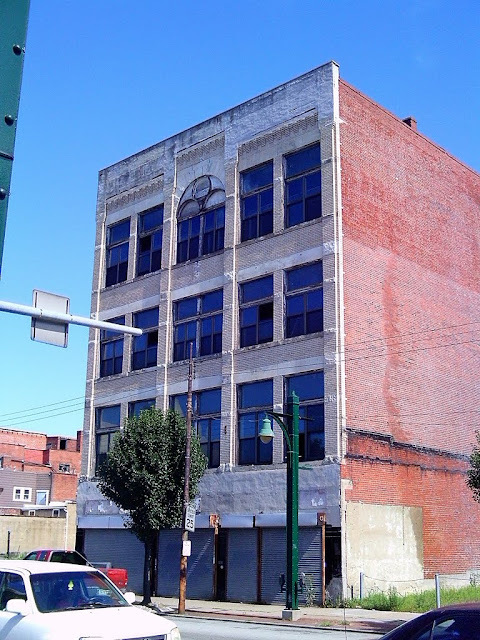 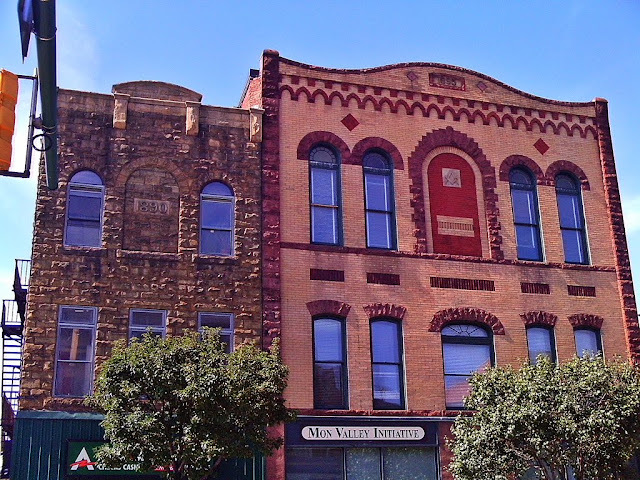 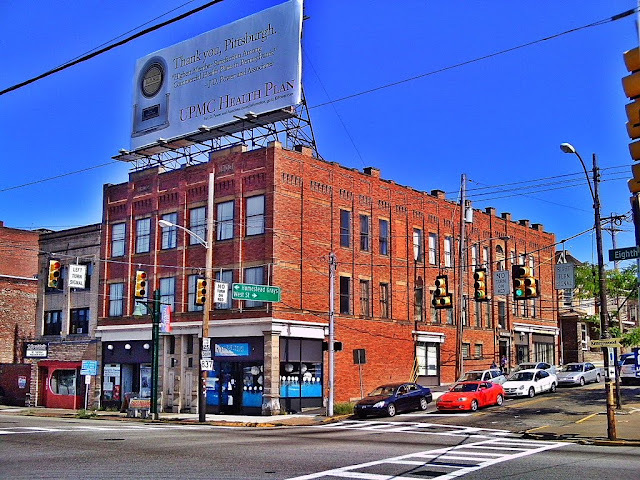 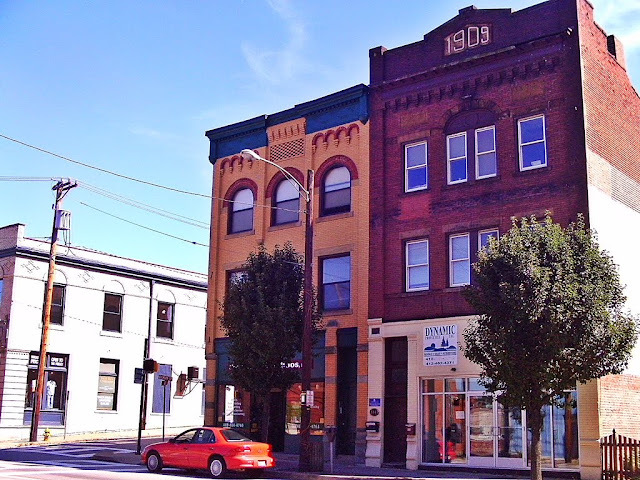 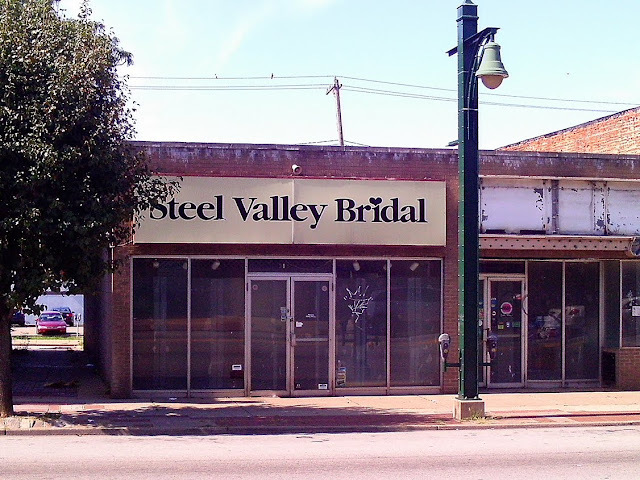 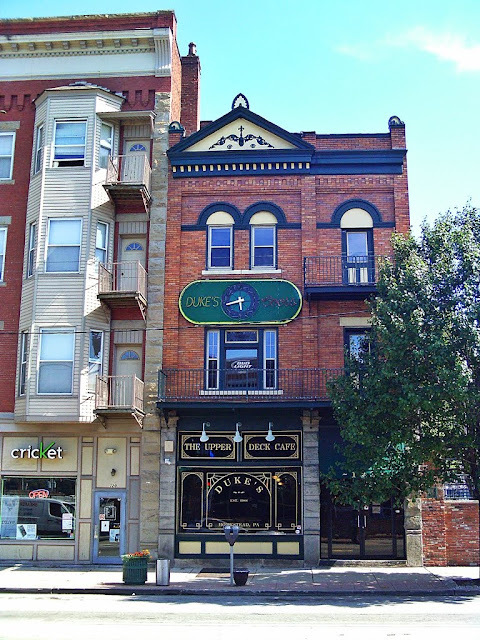 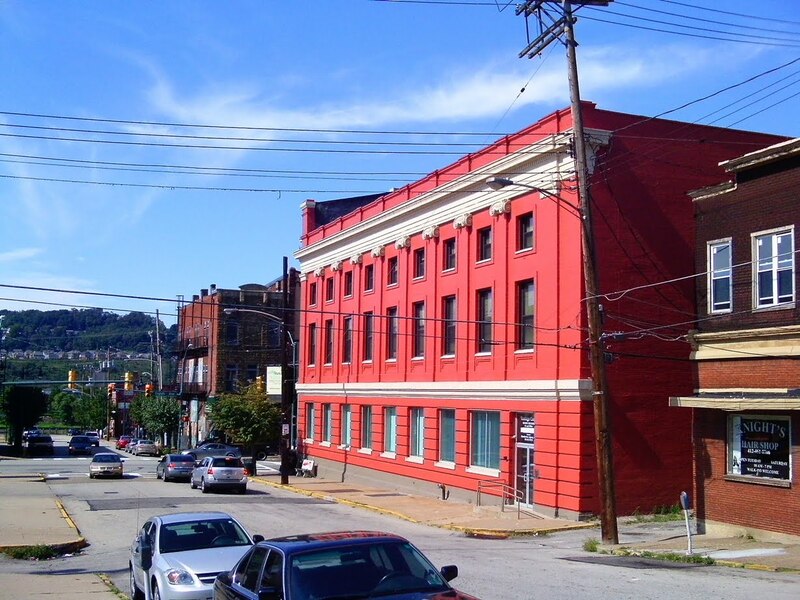 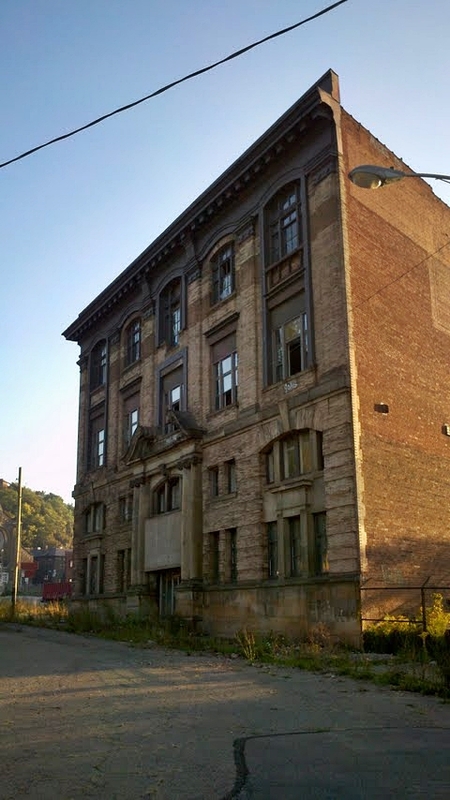 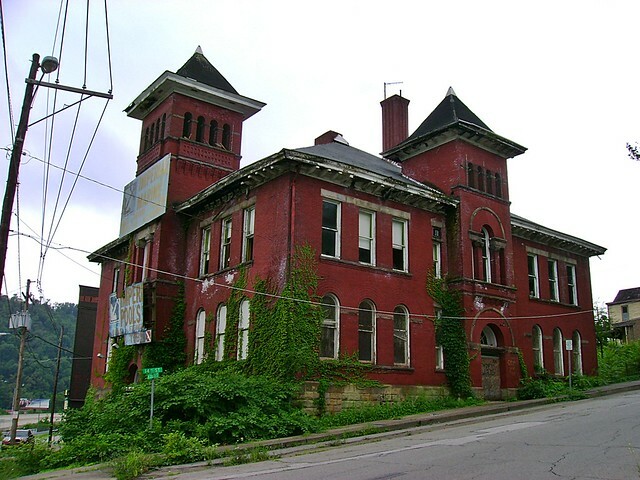 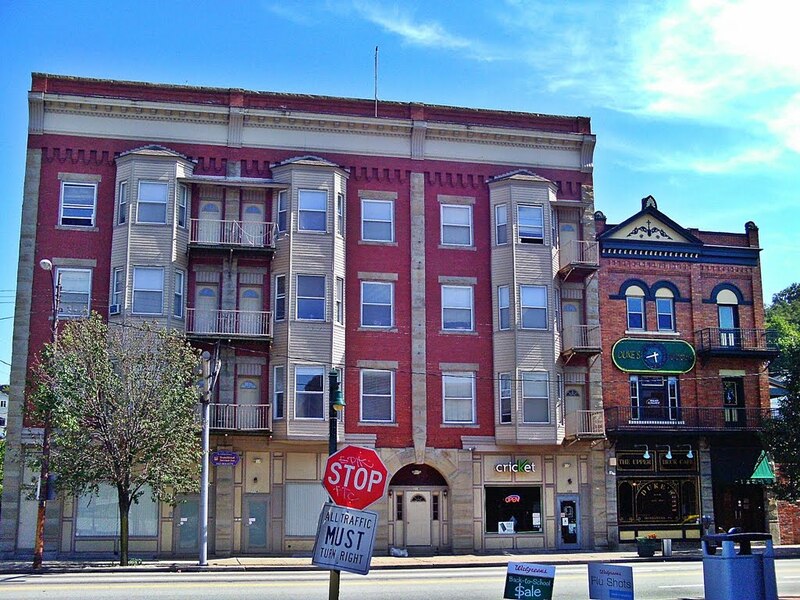 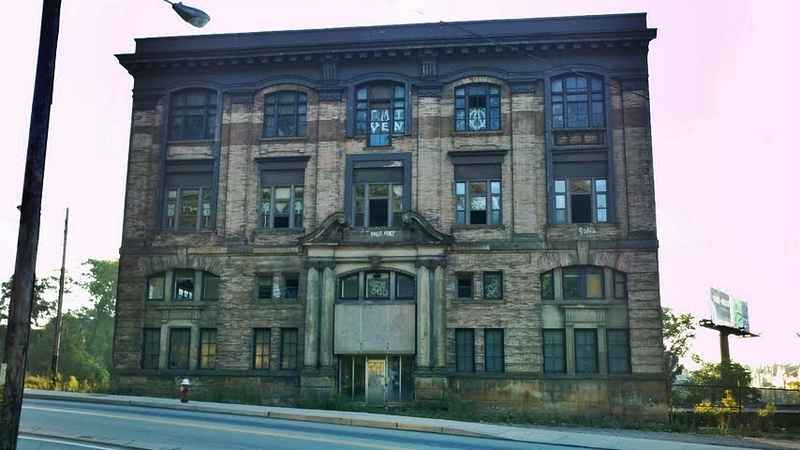 In spite of the fact that the building was located in a city historic district, the City of Pittsburgh Historic Review Commission decided to allow its demolition for new student housing. 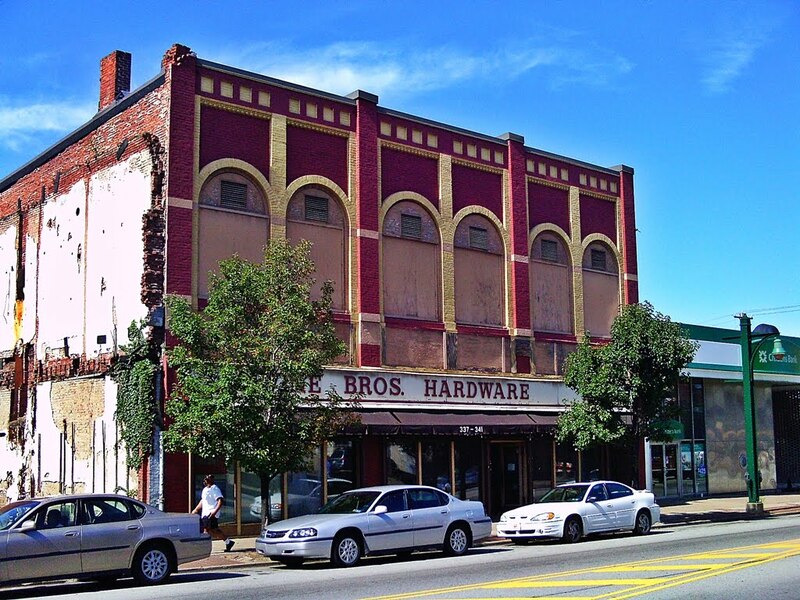 Another piece of Oakland's history and urban fabric falls to the wrecking ball, due to an incompetent Historic Review Commission. 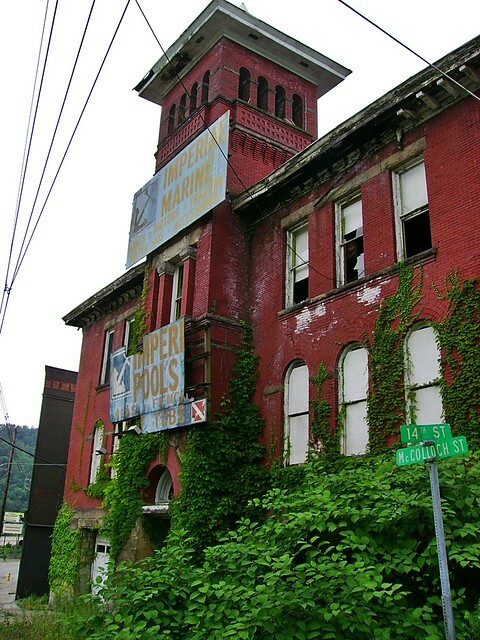 Saint Peter and Paul School. Location: Enright Court, East Liberty. Location: Near Fifth Ave. and Maurice St., Oakland. 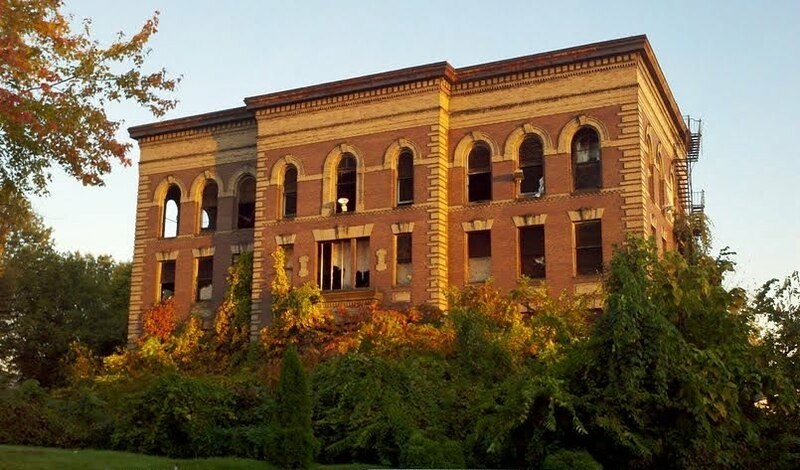 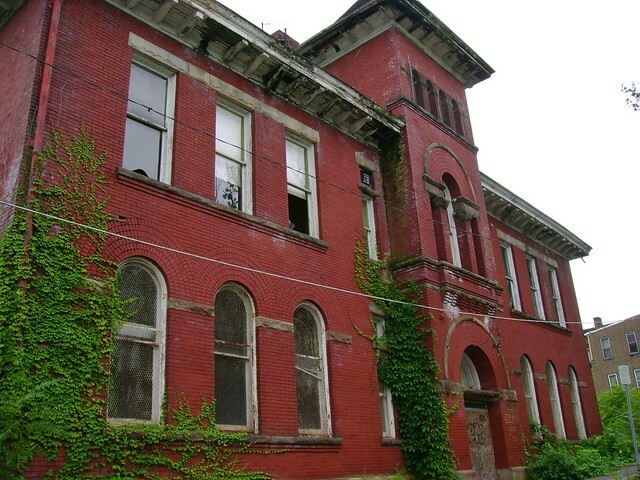 Both buildings are abandoned, but beautiful, and located in trendy neighborhoods where apartment/loft conversions of historic buildings are commanding high rents.